A token that creates a small bird that can be used to deliver a small written message unerringly to a designated target. The token lasts as long as it takes to carry the message. Each of these silver rings is inscribed with the Draconic word for friendship. While a ring of communication is worn, the wearer can clearly hear anything said (even if whispered quietly) by anyone else within 1 mile who is wearing another ring of communication to whom the wearer is attuned. To become attuned, two or more ring of communication wearers need to touch their rings together and speak the command word. Any number of ring wearers can become attuned to one another, so long as they are all attuned together at the same time. The wearer remains attuned until he removes the ring (or until all other wearers to which he is attuned remove theirs) or attunes himself to a different ring wearer. Faint divination; CL 5th; Forge Ring, detect thoughts; Price 2,000 gp. This plain-looking mirror can be any size, and can be glass or metal. It has an astounding capacity for communications. Firstly, it radiates a strong divination aura when viewed with detect magic. Each mirror has its own unique ID (often the personal rune or royal seal/crest of the one it belongs to), which identifies it from all other such mirrors. In addition, each mirror can hold up to 20 such runes of other people. This creates a sort of "speed dial," especially since a casting of Arcane Mark is needed to add another mirror the the list (or "call'" someone who is not on it). Each mirror has a unique command word used to activate it. This is the same word used to accept incoming "calls." Each mirror in the "buddy list" can have a six-second sound attached to it when it is added. When a call is incoming, the rune of the calling mirror will appear and the sound (if any) will play. The range of the mirror's communication is effectively unlimited, unless it means crossing planar boundaries. Mirrors allow visual and audio communication between each other. You can also choose to have just audio. The Greater Version is the same as above, except that it can cross planar boundaries and can hold 30 other mirrors in its "buddy list." The cost is doubled, and a Scrying spell is also needed in the crafting process. This silver charm bracelet has four charms upon it when created. The owner may designate one person known to him to be keyed to each charm. (This designation takes a standard action, but once done it lasts forever or until changed.) When a charm is grasped and the name of the keyed individual is spoken, that person is called to the spot (a standard action) appearing at the user’s location along with his gear, as long as the bracelet’s owner and the called person are on the same plane. The keyed individual knows who is attempting to teleport him, and the bracelet of friends only functions on willing travelers. Once a charm is activated, it disappears. Charms separated from the bracelet are worthless. A bracelet found with fewer than four charms is worth 25% less for each missing charm. Craft Wondrous Item, refuge; Cost 9,500 gp. 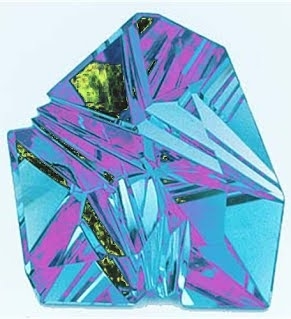 this crystal forges a passive mental link with a creature with which you have previously had physical or mental contact. The subject need not be within sight or even on the same plane as you are. The subject recognizes you, and you can mentally communicate with it for the duration (though nothing forces the subject to respond to you), exchanging messages of twenty-five words or less once per round. Receiving a message is not an action and does not provoke attacks of opportunity; however, sending a message is equivalent to a standard action that can provoke attacks of opportunity. Craft Wondrous Item, Correspondence; Cost 56,000 gp.